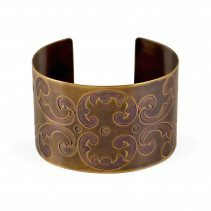 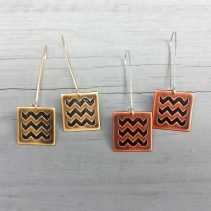 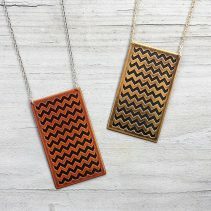 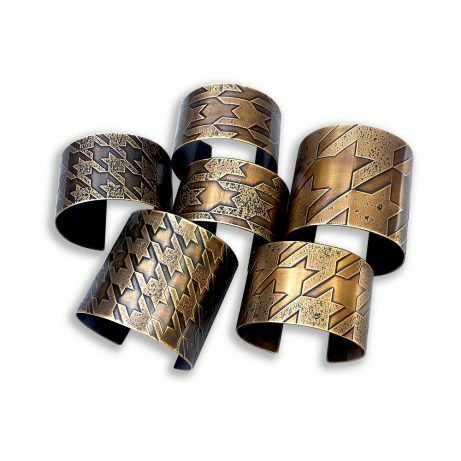 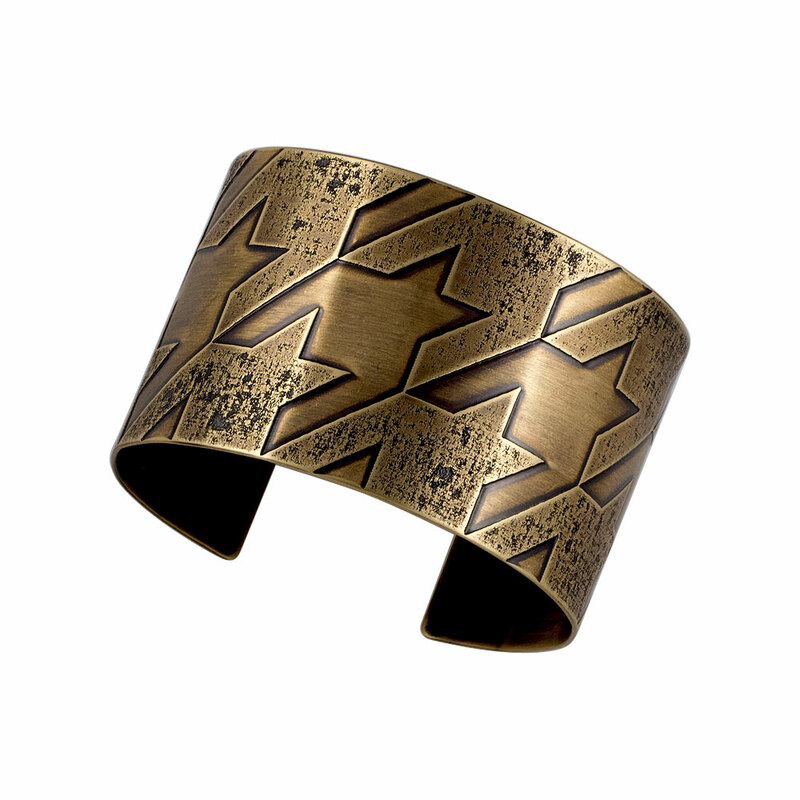 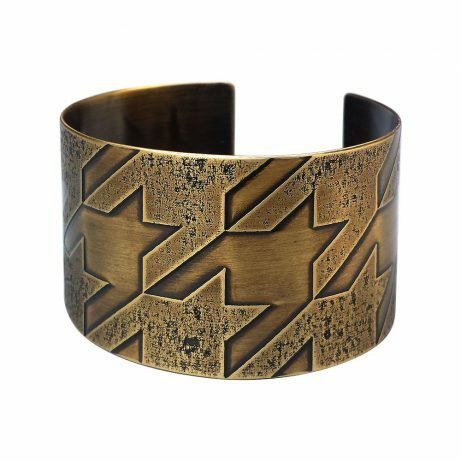 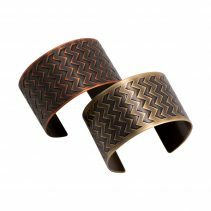 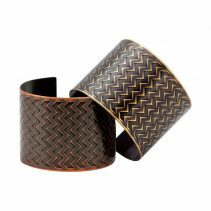 Medium scale houndstooth pattern etched onto brass and formed into a cuff bracelet. 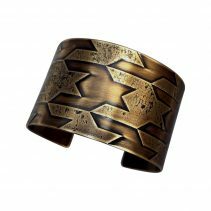 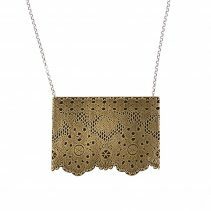 Additional texturing gives it the look and feel of a futuristic artifact, further emphasized by its Antique Brass finish. 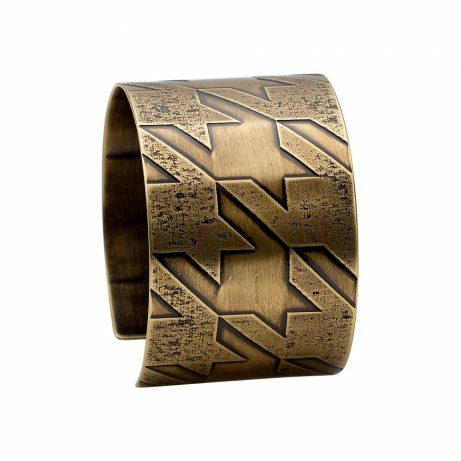 Cuff is 1 ½” W and measures approximately 7″ in circumference (fits 6″ to 6 ½” wrists) and can be adjusted slightly for a tighter or looser fit.